Emotional Programming Connected to Food: Our training about food goes all the way back to infancy. From there, we develop a lifetime of subconscious patterns, reasons and choices about food. We eat when we are sad. We eat when we are happy. We eat for comfort or as a reward. We eat too often for emotional reasons. The problem is that you can never actually "feed" an emotion in order to satisfy it. Availability of Food: Our ancestors lived in a time where gathering and preparing food took a lot of time . They didn't do it in 5 minutes like we can do now. They had to work hard for it. And with modernization came ways to preserve food longer and produce food faster. Today anything we want is available for instant gratification, whether or not its in the best interest of our health. Quality & Quantity / Food has Changed: What is mass produced today on a large scale has more to do with making the most food (not the best) at the lowest cost. We are recommended to eat what is commercially produced, not what is optimum for our health. Processed and fast food is a race for loyalty and dollars. And there are three primary ingredients to capture that dollar: Bad fats, sugar, refined salt. Along with this are food additives such as MSG (disguised under many names), which can affect brain neurons and alter taste receptors. With all the negative factors at play, losing weight can seem like an uphill battle. But it doesn't have to be. Hypnosis can make it easier by addressing the complex dynamics. Using our 5 Path system, we can help you remove the old programming that is causing you to eat out of habit, emotions or family training. Your level of motivation an exercise will also be increased through the process. Part of our program involves teaching our clients about the secret language of feelings. This allows our clients to begin to respond to feelings in a more satisfying way rather than eating and feeling worse! You will learn what your emotions are really telling you and how to satisfy them in a healthy way. Appointments: You will receive a private session tailored just for you. 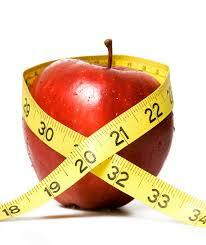 We recommend at least 6 visits for weight management. The total number of sessions varies with each unique person. Contact Kim to discuss your needs in detail. Cancellation Policy: 24 hours notice is required. Full fee charged for no-shows.